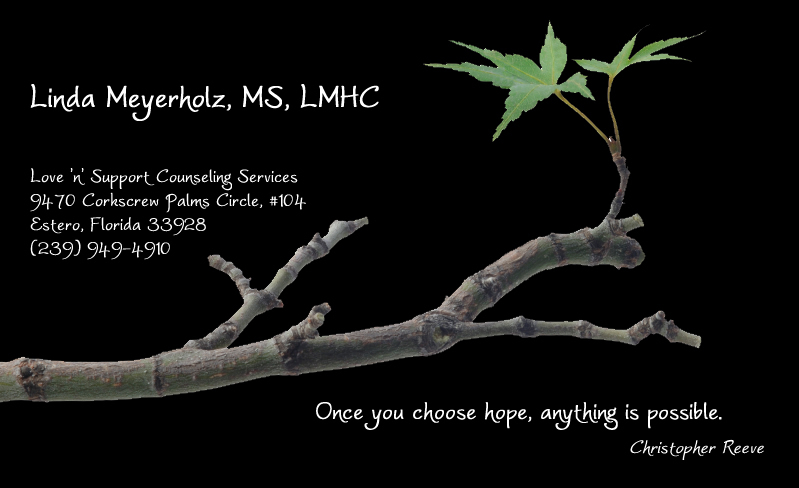 Linda Meyerholz, MS, LMHC . . .
As you browse this site, you will learn more about Linda and her work and have an opportunity to read excerpts from her books. You can communicate with Linda online at her blog, 12 Step Joy, by clicking on the Blog link above or going to http://12stepjoy.blogspot.com. © Copyright 2010 Linda Meyerholz. All rights reserved.